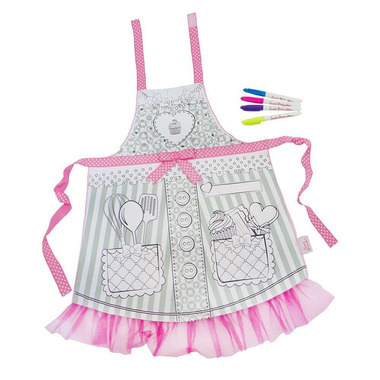 Great Pretenders Colour-An-Apron will have your child be the best dressed chef in the house! With 4 markers and imagination, transform an apron into a work of art! 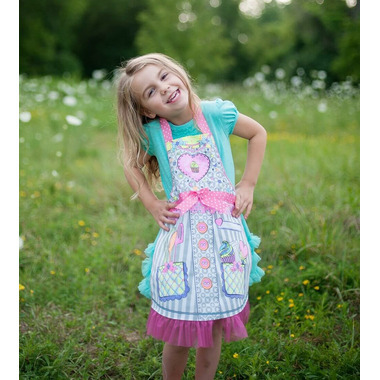 Colourful and stylish, this Colour-An-Apron will allow your little cook to express themselves with artistic flair. This apron features polka dot gingham ribbons, pink glitter tulle ruffle, a fastened loop closure and 4 washable markers.